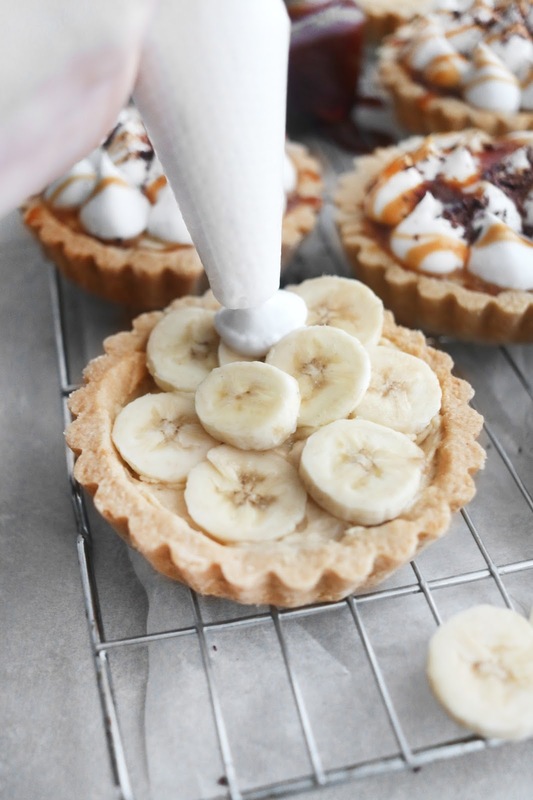 Sweet caramel in a 3 ingredient crust, topped off with fresh bananas, a homemade coconut whip and dark chocolate. This dessert is sheer indulgence. This is vegan at it's finest! 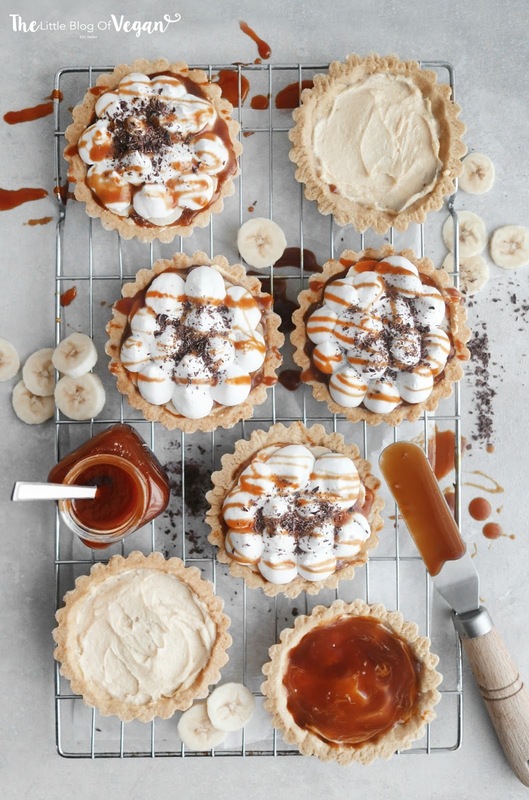 These tartlets are dreamy. The light, crumbly 'shortbread' flavoured base is delicious paired with silky smooth caramel. 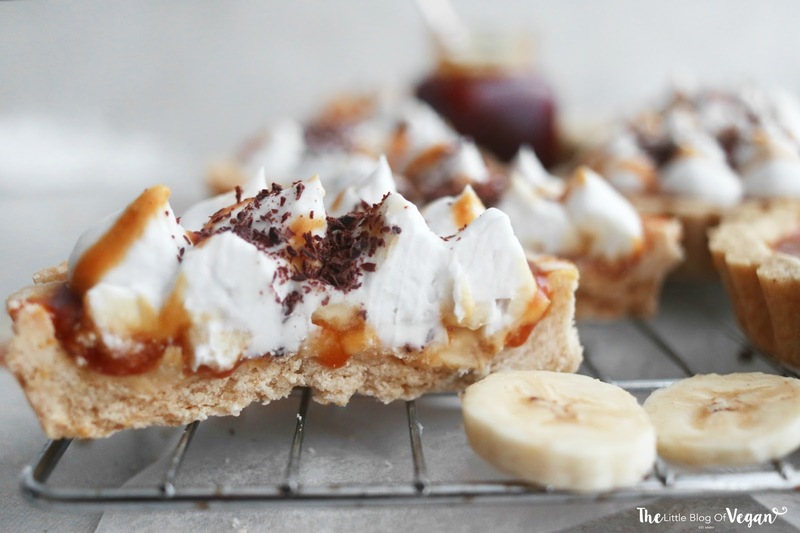 Banoffee is the combination of bananas and toffee which in my opinion, is a match made in heaven. It's divine! 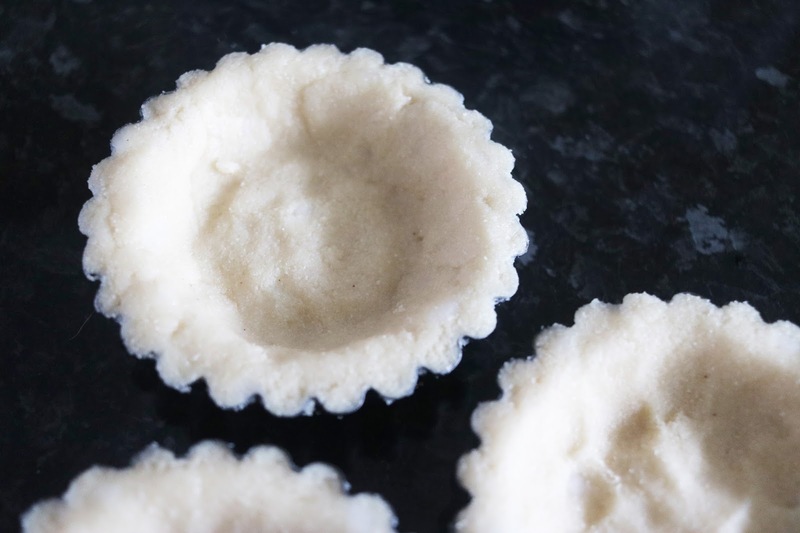 These little tartlets are quick & easy to make and would make the perfect Christmas day or New years day dessert. Step 1- Pre-heat your oven to 180 degrees c and line 6 tartlet tins with greaseproof paper. Step 2- When your butter/margarine is creamy & light in colour, add in the icing sugar and caramel sauce. Step 3- Make some caramel sauce. Get my caramel recipe here. Step 4- Pour the cooled caramel sauce over the buttercream and level off, then layer on sliced bananas. 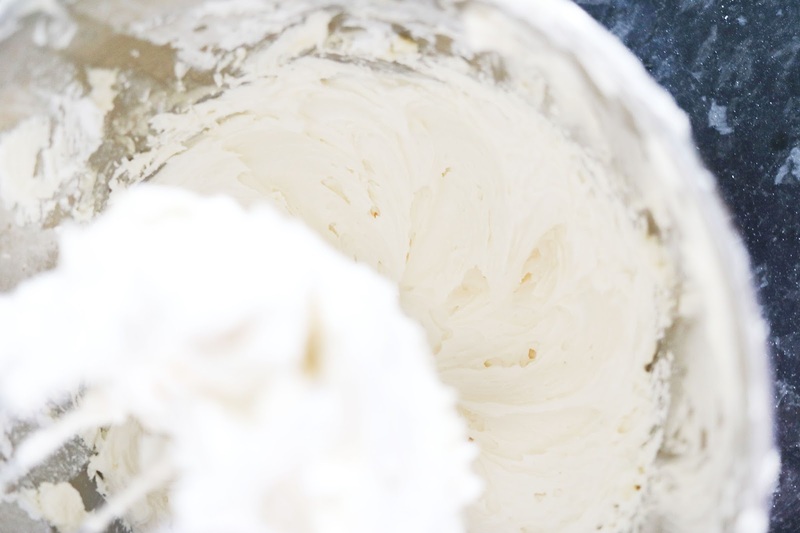 Step 1- Scoop out the coconut cream from two cans of coconut milk (thick cream only), and place into a bowl and whisk together. I use my stand mixer with the balloon whisk attachment on high speed. Step 2- Add in the icing sugar and whip together until peaks form. Step 3- Transfer the mixture into a piping bag fitted with a round tip nozzle and pipe little peaks of the coconut whip onto each tartlet. 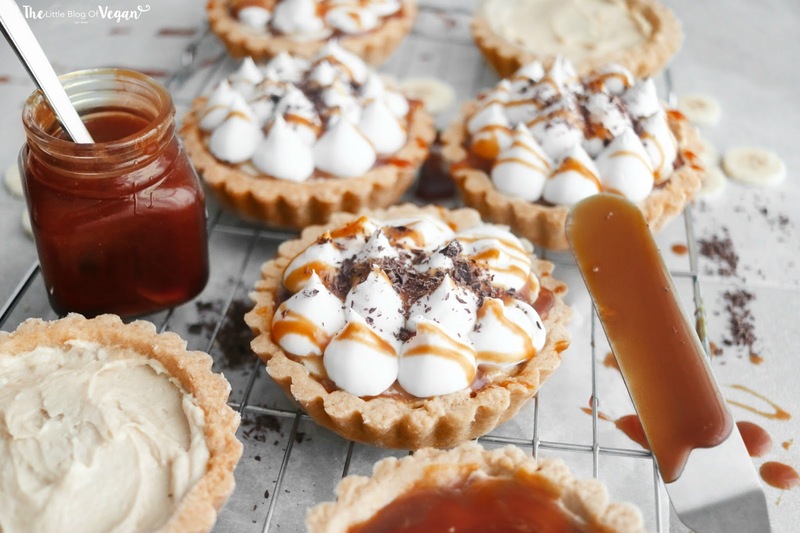 Decorate with a sprinkling of grated chocolate or go all out with an extra drizzle of caramel sauce! WOW these tartelettes look simply beautiful and so delicious!